This past year I’ve been hearing a lot about addressing the whole customer journey, or developing a unified customer experience strategy. Companies need to have consistent content for every touchpoint with the customer, from the time the users are prospects to the time those users become customers and beyond. When users are exploring a company, they may listen to a webinar, watch an overview video, explore a demo site, read a blog article, download a white paper, and so on. After they buy the product, they may interact with other types of content: a Getting Started tutorial, a support article, emails from support agents helping customers, interactive show-me videos, forum posts, KB articles, and more. The content should look and feel similar, with the same messaging, terms, tone, and style. Content that is the same should be generated from the same source. Although content is produced by different departments within a company, the customer interacts with the company as if it’s a unified group. The content should also be unified. A lot of the pre-sale content I mentioned can be classified as “marketing,” but there’s a new type of content in marketing called content marketing. Content marketing doesn’t include content whose agenda is to get you to buy a product. Content marketing consists of helpful information and stories that address problems users are having. The content doesn’t necessarily talk about the company’s products at all. 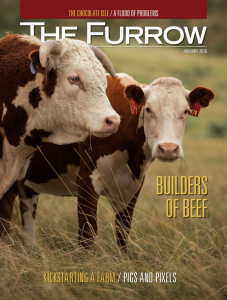 A great example is the Furrow magazine by John Deere. Apparently this is a longstanding publication for farmers that addresses problems farmers encounter. There’s nothing in the publication about John Deere tractors, even though it’s published by John Deere. The purpose of the content is to build a trusting relationship with the audience. You can learn more about content marketing by watching this film from the Content Marketing Institute. Why the interest in content marketing? For most of my tech comm career, my focus has been in creating technical documentation, which is consumed once the users become customers. I’ve pretty much been happy to let Marketing create its own content, while I create my own content in Tech Pubs. This approach of course leads to silos and inconsistencies. Having worked for two startups, I’m beginning to change my thoughts about the role of content marketing and other content outside of tech docs. Why does a startup product succeed or fail? Is the startup’s success solely based on the product’s awesomeness — those features engineers are endlessly going on about in standup meetings? Or is the success attributable to timing in the market? Or good management by the CEO? Are there other dimensions to success that get overlooked? 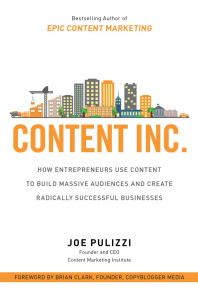 During the holiday break, I started reading Joe Pulizzi’s book Content Inc. I figured this might be a good way to educate myself more on the role of content marketing. Joe says he started publishing content (not product-related content) to build an audience before he had a product available. He recommends this reverse approach for any business as well. 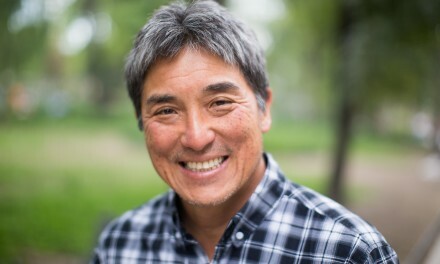 He notes that this approach seems a bit backwards, especially given that most startup companies hope to get a decent 1.0 product, some successful proof of concept customers, and a few testimonials and positive results before they start marketing their product. In other words, they operate in semi-stealth mode, not marketing at all, while developing their product. But Joe says this is the wrong way to go. You don’t wait until you’ve got a product before you start building an audience. … I had no job and no product to sell (and no income). It wasn’t a good position to be in with two small children (ages three and five at the time) and a mortgage to pay. The web developer I was working with didn’t believe we could get the online offering ready for at least nine months. Ouch. What to do? Without a product to pitch, I focused all my attention on building an audience. 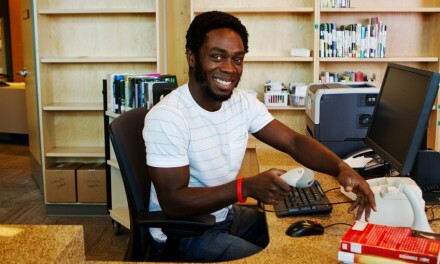 In a few weeks, the blog was up and running. Three to five times a week, I was creating and distributing helpful information targeted to marketers in large companies—the audience I wanted to reach eventually with my new product. A few months later, I was starting to build a small, loyal following. In other words, instead of directly pitching your products through marketing collateral, you build up an audience first by publishing insightful, valuable content that builds a trusting relationship with your audience. As you publish content that people care about, you align yourself more closely with your audience’s needs and interests. Only after you have a substantial audience do you even mention your products. In other words, by creating content that responds to users’ needs and interests, you’re much more likely to build a product that also meets users’ needs and interests. When you have a relationship with your audience, you understand their pain points and needs. You’re less likely to build products that diverge from what your audience wants. Reading Content Inc has made me realize a few things. First, a lot of what I’ve been doing on this blog might be considered content marketing — I just lack the business angle. 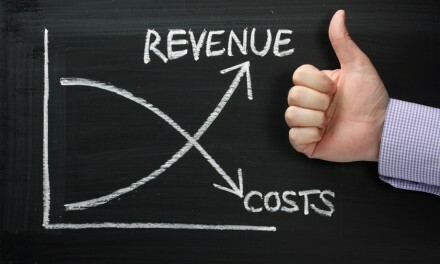 Although content marketing’s overt value model for users is the relevant, useful content, that content ultimately has a goal: to drive profitable customer action. This last part is an area where I have clearly failed. For example, by now I should have 10 times as many subscribers and be independently wealthy from converting my subscribers into a source of repeatable revenue somehow. That didn’t quite happen (yet). But so much of what I do online fits into what content marketers do that I’m 100% confident that I would be a pretty good content marketer. As I tried to single source content from the documentation into this marketing product overview, I eventually decided that the two outputs were different enough to be un-single-sourceable. After that experience, I relegated myself to my tech comm kingdom once again and, like a lion roaming his territory, kept to my domain and stewardship. But as I was writing tech docs for our 1.0 product, I couldn’t help but wonder what the secret sauce must be to having a startup product become wildly successful. Would the success be attributable to my awesome tech docs? 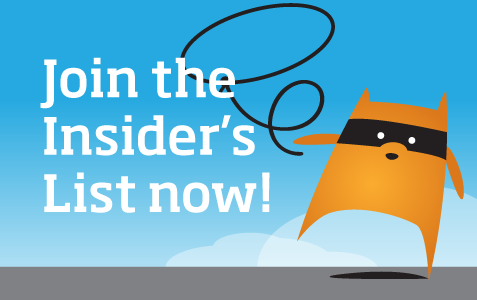 Would the success be attributable to the kickass features of the product? I think there’s a component to startup success that companies are too frequently overlooking: building a presence in the community, establishing thought leadership and insight, becoming visible online. You achieve a lot of this through content marketing. For example, one source I frequently turn to is the ProgrammableWeb.com. It’s my favorite site to learn about APIs. If I were a venture capitalist, I would probably back any API that ProgrammableWeb said to throw my money behind. ProgrammableWeb has built up the audience; it has won me over through the worthwhile, insightful content that it has published for years — content that doesn’t end in a pitch for some product. (In fact, I’m not even sure ProgrammableWeb sells anything). It is just awesome content with a specific focus that builds up the ProgrammableWeb brand as a source of expertise and insight in the web API industry. If I want a startup’s product to be successful, I think I’ll need to jump into content that goes beyond documentation and training. I’ll need to build a bridge and cross a chasm, as well as change an entire company’s culture about Marketing and Tech Pubs realms being separate. The good thing is, I think the content in tech docs is the secret sauce to good content marketing (assuming the tech docs are product-related). To contribute to the content marketing effort, tech writers (or engineers or any other employees who are so inclined) would have to genericize from the product-specific information and share insights into processes or concepts in a way that anyone in any company could use. The way I see it, if you’re trying to win over a technical audience, you need to communicate with them on a technical level. You need to understand the technical issues they face and talk with credibility about those issues. I’m not saying content marketing should consist of verbatim topics from a user manual. But the concepts that you cover in tech docs could certainly be repurposed into larger, more conceptual articles that address strategies around those topics. For example, a topic in a user guide on “Generating an HMAC Signature for Requests” might be repurposed into an article on using “HMAC Authentication for APIs,” in contrast to other authentication protocols (such as OAuth). As a technical writer, you have the insight to provide substantial, information rich content that will build relationships with technical audiences. Marketing writing without substance is going to come across as empty marketing — the kind of brochure or product literature that has such a strong agenda it’s almost unreadable. Imagine if the articles I wrote on this blog were from an outsider’s point of view, that is, if I weren’t a technical writer facing the same problems as you, but rather a marketer who was just writing about issues in the tech comm industry. I doubt I would have many readers. The whole reason I can connect with readers is because I’m similar to them — I’m a technical writer working in the trenches. 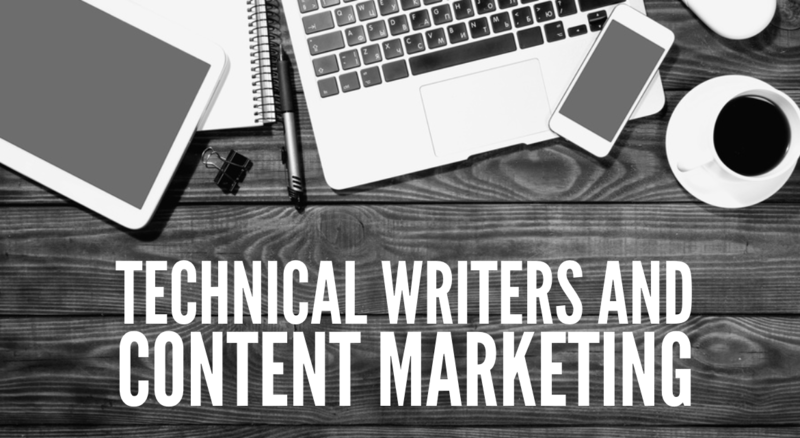 Technical writers should repurpose their information-rich content into content marketing deliverables that can be used to build relationships with potential audiences in the market. This content can help establish thought leadership, visibility, and trust with your audience so that when you start releasing and mentioning your 1.0 product, your audience adopts it. But I think that converting from a mindset that sees Marketing as “not my responsibility” to a mindset of enthusiastic contribution is the starting point to finding real success for your startup’s products.